Since 2013, Alforex Seeds has been one of the agricultural industry’s leading alfalfa and forage producers for the dairy and beef industry. One of the largest pure alfalfa producers in the market, Alforex Seeds mission is to develop and market innovative proprietary alfalfa technology that increases forage productivity of forage producers to meet the needs of the growing world population. Headquartered in Woodland, California, Alforex has been at the forefront of a number of important innovations in the alfalfa and forage industry. These include Hybrid alfalfa using patented msSunstra® technology, Hi-Gest® Low Lignin alfalfa, Hi-Ton® products, Hi-Gest® BMR hybrid sudangrass, salinity-tolerate alfalfa varieties and multileaf alfalfa. An affiliate of Dow AgroSciences, Alforex is the result of a merger between Dairyland Seed and Cal/West Seeds, which Dow purchased in 2008 and 2013, respectively. By combining the forage research and development capabilities of both companies with longstanding reputations, Alforex is able to leverage more than 100 years of industry knowledge in its mission to promote alfalfa and forage excellence. The first year was bringing everyone together, second was implementation, and now it’s really about growing. “We really are a pure alfalfa company. We have other products that support the sale of alfalfa, but that’s our true focus,” says Ron Cornish, general manager at Alforex. In addition to its two research and development facilities in California, Alforex operates conditioning facilities in Washington and Idaho, as well as a dormant alfalfa research station in Wisconsin and a warehouse location in Minnesota. In a few short years, Alforex has built a reputation among producers thanks to an innovative slate of products developed using conventional plant-breeding procedures. 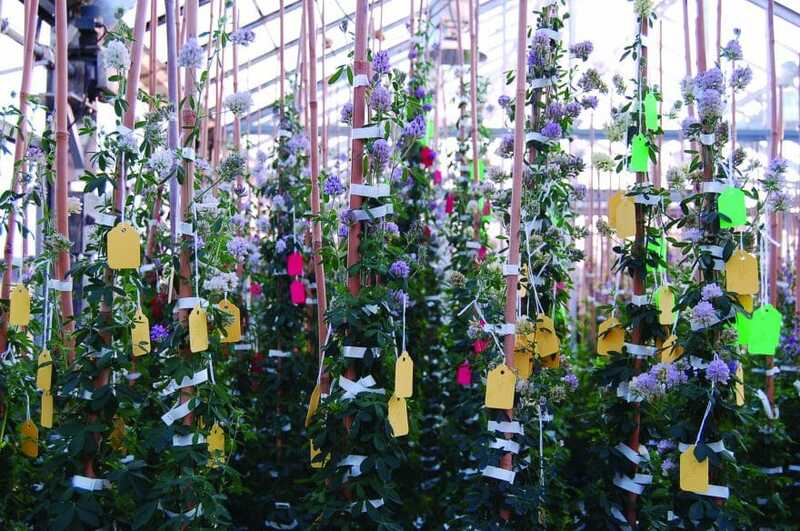 Performing more than 3,500 purity and germination exams each year, Alforex is able to consistently deliver products with high yield, high quality, strong persistence, drought tolerance, disease and pest resistance. In a few short years, Alforex has built a reputation among producers thanks to an innovative slate of products developed using conventional plant-breeding procedures. One of the newest additions to Alforex’s lineup, Hi-Gest 360 alfalfa is the first commercially available low-lignin alfalfa product on the market. By reducing the amount of lignin in its alfalfa by as much as seven to 10 percent, Alforex is able to ensure improved fiber digestibility, more dry matter intake, increased crude protein levels and harvest flexibility without sacrificing pest resistance or winter hardiness. Launched in 2014, the Hi-Gest product is already being used across the U.S. with plans to break into the Canadian and potentially other markets in the near future. “No one really knew it was coming and we put a ton of energy into the launch efforts for a year, so to see it launch and perform in the field even better than expected was amazing,” says Cornish. While the company is primarily focused on alfalfa production, Alforex also sells clovers, forage sorghums, and cover crops such as Ripper radish and Braco white mustard, as well as grasses and grass mixtures. Having introduced a number of innovative products since its inception in 2013, Alforex is now focused on expanding its production capabilities and market share growth. Cornish sees particular promise in the North African market, which will help serve dairies in Saudi Arabia. “They grow a lot of alfalfa in Saudi Arabia, but the government is putting restrictions on the amount of water they can use to grow alfalfa, so we’re keeping our eyes on shipping to Morocco, Algeria and other North African areas Sudan where there is abundant water as that develops,” he says. Alforex has an established presence in Argentina, though the market has been sluggish in recent years owing to economic unrest and widespread flooding. “Now we’re starting to see some glimmers of hope and a strengthening beef market down there, so we might see some recovery happening in Argentina,” says Cornish. Cornish has seen the market shift in recent years toward the adoption of non-transgenic products to meet certain market demands with companies such as Dannon setting the ambitious goal of being GMO-free by 2018. As more and more producers start responding to such trends in the industry, Alforex is looking to change the way it looks at its own production. “We’re seeing an expansion in that market not only outside the U.S., but here domestically as well,” he says. Raised on a corn and soybean farm in southern Minnesota, Cornish has been in the industry his entire life, joining Alforex in 2013 as national sales manager charged with integrating the two companies. After earning an agronomy and agriculture business degree from Iowa State in 1995, Cornish joined DowElanco at the time, which is now Dow AgroSciences. He has been working for the agriculture company in various capacities ever since, gaining experience in industrial vegetation management, marketing, agricultural chemicals, as well as seeds and traits. As the company continues to expand its presence in the market, Alforex is looking to launch new hybrid and synthetic varieties through Alforex, other internal brands and private label clients, and ramp up production of the Hi-Gest products while performing the research and development so vital to future growth. Breeding alfalfa and forages isn’t easy. It’s a complex process that demands expertise and diligence. This singular focus matters to an expanding group of growers and producers who demand only the best of their fields and herds. 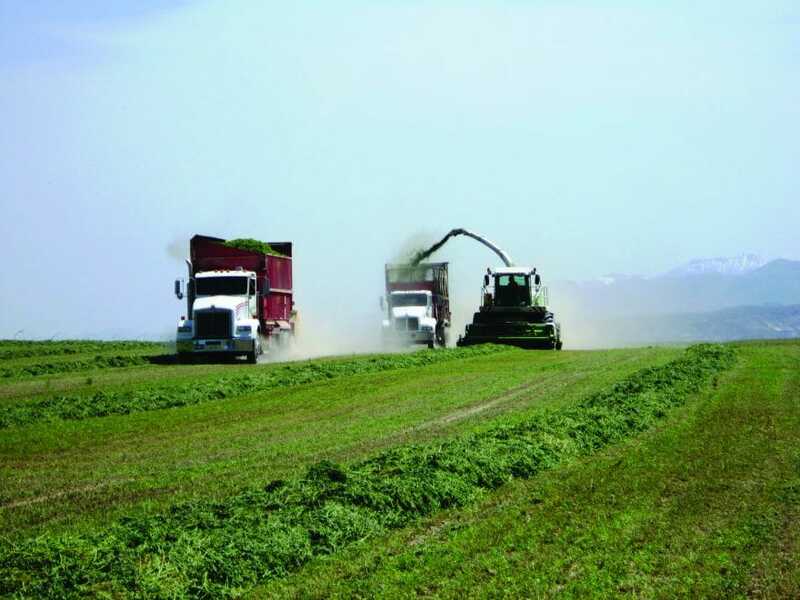 As our growing population looks more and more to dairy and beef for protein, alfalfa and forage are becoming increasingly valuable across the food chain. With high-performing alfalfa and forage that help livestock derive maximum nutritional benefit, Alforex proudly helps Dow AgroSciences fulfill its mission to deliver solutions for the growing world. ©™ Alforex Seeds, Cal West Seeds, Dairyland Seed, Hi-Gest®, Hi-Ton®, msSunstra® are trademarks of the Dow Chemical Company (“Dow”) or an affiliated company of Dow. Alforex Seeds LLC is an affiliate of Dow AgroSciences LLC.